The impressive academic career of West Nyack’s Joshua Henriques continues. Henriques recently graduated from Fork Union Military Academy in Virginia, where he was named valedictorian with a 4.581 GPA and won two of its most prestigious honors: The MacArthur Award and the United States Marine Corps Scholastic Excellence Award. He was accepted to the United States Air Force Academy, the Air Force’s equivalent to West Point, where he will be trained to be an officer in the Air Force. Henriques also won the H.R. Kelly Foreign Language Award, for the cadet with the highest average in a foreign language. 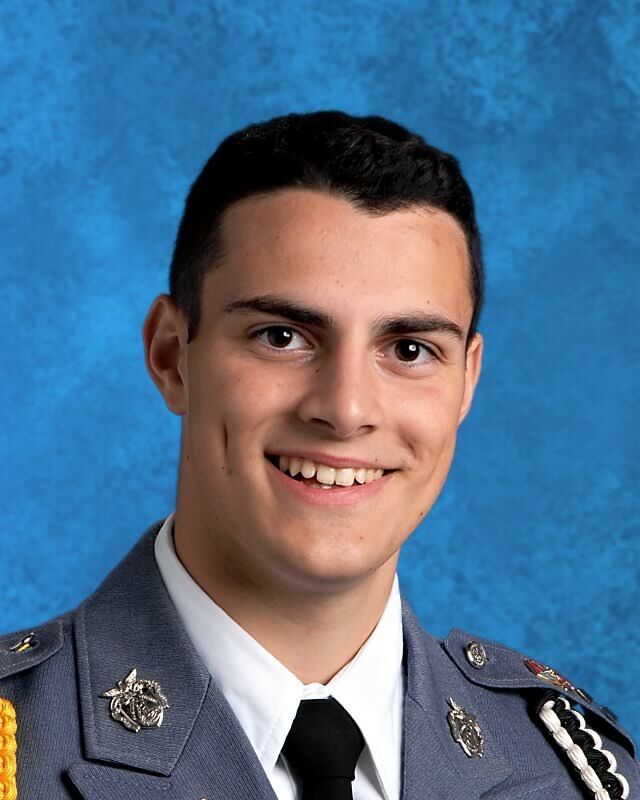 He is the son of Miguel and Pauline Henriques of West Nyack and has attended Fork Union Military Academy since August 2013 when he enrolled as an eighth grader. The Rockland County Times reached out to Joshua’s mother Pauline Henriques to discuss her son’s achievements. Q – Can you describe the family’s emotions about Joshua’s success? You must be proud, but if you could put a few sentences summing it up…? A – We have watched Joshua set goals and work extremely hard to reach them. It has been truly inspiring to all of us to watch him strive and succeed. Pride doesn’t begin to cover the way we feel about his accomplishments. Q – Was there a point in in your son’s childhood it became clear he was destined for leadership and he began to display great focus and commitment? There are many bright people out there, but not everyone keeps their eyes on the prize. A – When Joshua was in sixth grade he began asking to go to a military academy. His father and I said no, after all he is the baby of our three sons! By seventh grade it was clear he wasn’t giving up and actually sent emails to several military academies expressing his interest. He was very persistent and convinced us to let him go tour some of these academies. Joshua chose the ones he wanted to visit down south and planned a road trip for him and his dad during his winter break from Felix Festa Middle school. I thought for sure he would see what it was like and that he couldn’t have his cellphone and say forget it, but when he came home he announced which one he wanted to go to and that he wanted to attend starting in 8th grade, which he did. Q – Are either yourself or his father former servicemen in the US Armed Forces? Is there a family tradition of service? A – Neither of us have served and we don’t have any relatives that Josh is close to that served. However his pediatrician had his certificates from his time in the Air Force hanging in the examination room along with other very cool things for the children to look at. Dr. Howard Schlachter of Essex Fells, NJ took the time to answer all of Joshua’s questions about his time in the Air Force. When we moved to NY we continued to drive to see Dr. Schlachter. Q – Upon graduation from the Air Force Academy, he would qualify to be an officer in the Air Force. Does Joshua have a goal he’d like to achieve in his career? Air Force General? President of the United States? Yes, Joshua plans to have a successful military career and continuing in civil service after leaving the military. Q – What is the closest he has come to flying a jet at this point? Do they have simulated flying at Fork Union or is that all at the Academy? Josh hasn’t done any flying yet, that will surely happen at USAFA. Q – Is there anyone from Rockland County who was a mentor to him aside from family? When did he last attend public or local private schools? Yes, Regina (Jeanie) Rundell who is a retired teacher in Rockland has been a big source of support and inspiration for Josh. We moved to Rockland when Josh was 4-years-old. He attended Blue Rock School for preschool before attending Strawtown Elementry School, then Felix Festa for 6th and 7th grade before attending Fork Union Military Academy.